Have my first service appointment scheduled for this Friday, May 21st for my 2010 GTR at Ardmore Nissan in Ardmore, Pennsylvania. Performing the 1,000 mile service, required PA State Inspection, and finally - installation of the Nissan LED daytime running lights! 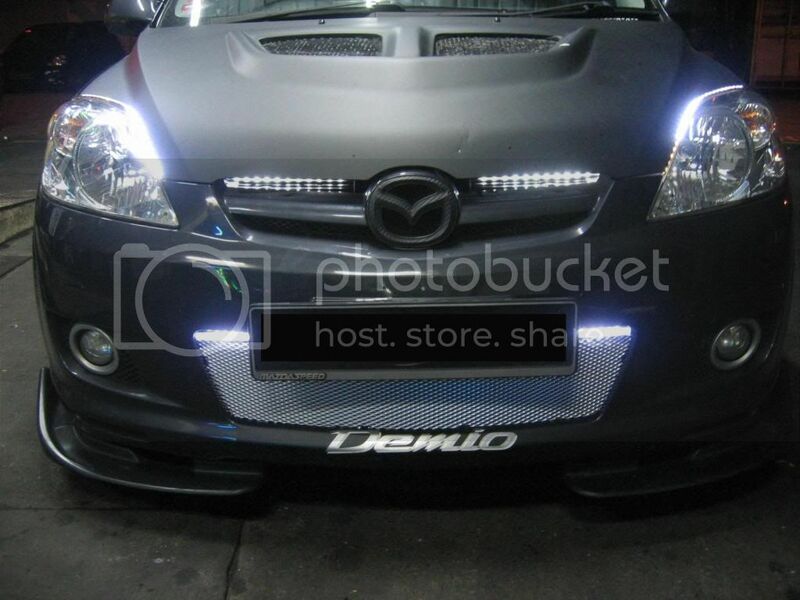 These LED's aren't cheap ($1,200.00) but I want my car to further stand out and the fact that they are a genuine Nissan product solved my desire for this mod. Will post with pictures of the LED's installed - "on" and "off". Additionally, I'll let everyone know the breakdown on costs for the service and installation of the LED's. See you guys next week with an update to this post! Just got a call from the service department at the dealership listed above. Was informed that per the instructions for the LED's - which they just read today - the estimated installation time for these is 8-10 HOURS!!!!! This was the first both they and myself have known this. I informed the service tech. 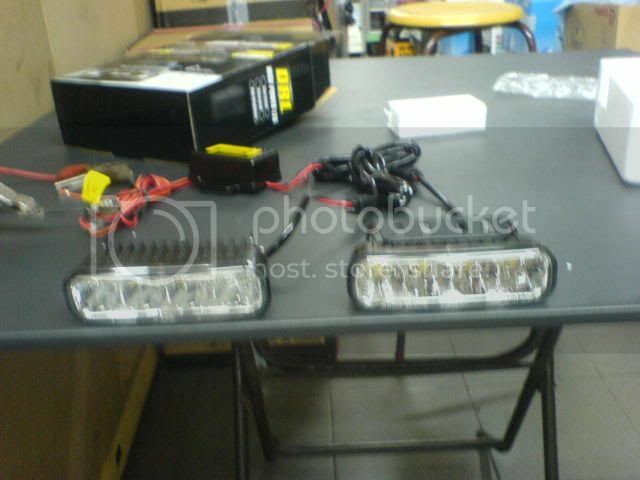 that I can only afford 2-3 hours MAXIMUM of labor cost to install these lights. That's 1 hour for each light, and an hour for hooking the wiring up. Absent that timing, I am out and a full refund for the lights will be forthcoming. The service tech said he had more homework to do and understands exactly what my position is on the labor and cost for this mod. Waiting on repsonse from the service tech, then will update the board. Last edited by mc; 05-20-2010 at 04:31 AM.. Yes, the led's are not going to be installed and I'm getting a full credit for their cost. It is unfortunate that they quoted that crazy length of time to do this work. As you stated, the job does not take that long, but I was looking to have recourse in the event something would occur due to the electrical nature of this mod. Shame that this couldn't occur, but everything for a reason & at least my GTR will still have full function of the air intake's for the engine. well just so you know the "ducts" that the LEDs fit into arnt air intakes for the engine...the passenger side is just for the oil cooler and the driver side is well a fake non opened area.. just to balance the look of the car out.. in the instructions nissan does reccomend removing the lights for performance driving but i know a bunch of people who have them and to my knowledge havent reported abnormally higher oil temps..
Let me know if you are still interested in the led set as i have them available at much lower than the dealer and also mine have the bypass done to them allowing them also to me on at night. Send me a pm and I will give you all the details. Also, install takes about 2 hrs and the dealer is overpricing the install. PM me on rear camera, video kits, and oem daytime led lights. We installed these in yjo's car and it took us about 5 hours. We could have done it faster, probably in 4 hours. We also installed some carbon fiber tubes that redirected the air and removed an LED that dropped in the headlight. Thank you everyone for the responses and information regarding this issue. Unfortunately, this install is not something I would be able accomplish since I do not have the tools or equipment to do this work. Additionally, since the car is under warranty, I would not have anyone but a Nissan dealership do the install in the event this might impact that. Last edited by OZ-GTR; 06-07-2010 at 12:59 PM..
Its amazing what a sh*t economy and a month will do to a dealership's service department. Got the call today from them - they will install my LED's free of charge if I get the car into them prior to the end of this week. The GTR will be dropped off tomorrow for them to install the LED's. Will be posting pics of the black love missle once these are in place! Have my first service appointment scheduled for this Friday, May 21st for my 2010 GTR at Ardmore Nissan in clicking here Ardmore, Pennsylvania. Performing the 1,000 mile service, required PA State Inspection, and finally - installation of the Nissan LED daytime running lights! I really like those LED lights and but these are quiet expensive. Last edited by Mosdban; 10-16-2012 at 02:26 AM..
Price is a little steep to be honest; I'm sure you can find some equivalent LEDs for much less than that. Unfortunately, this install is not something I would be able accomplish since I do not have the tools or equipment to do this work.Price is a little steep to be honest.